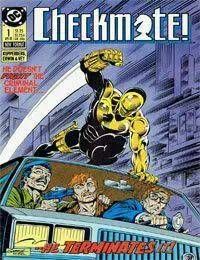 Originally a spin-off from the Vigilante series, Checkmate featured the exploits of a super-secret government organization. The Checkmate operatives were known as knights, mortal men, super spies with high tech body suits and gear. First appearance was in Action Comics #598.